This week the skies of Akron are being graced by the presence of three blimps. 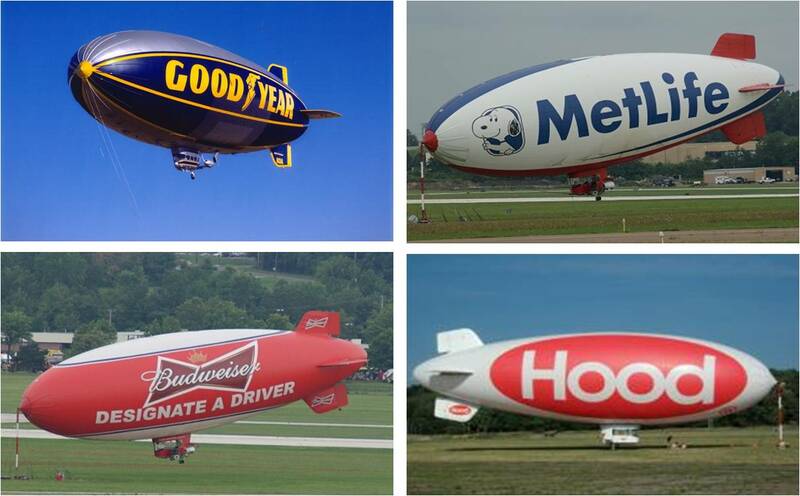 In addition to Akron’s Spirit of Goodyear, the area has seen MetLife’s “Snoopy 2” and the Budweiser “Designate a Driver” blimps have been flying over the region. 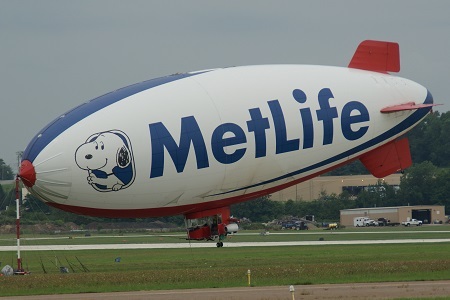 The MetLife blimp (N615LG) will be providing the aerial TV coverage of the World Golf Championship Bridgestone Invitational. 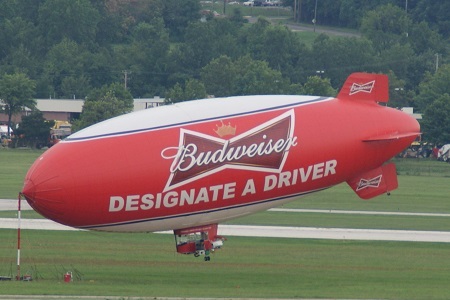 The Budweiser blimp will also fly over the Firestone Country Club as part of its national promotional tour. The Spirit of Goodyear (N3A) will be providing aerial TV coverage of the NFL Hall of Fame events in Canton, Ohio. 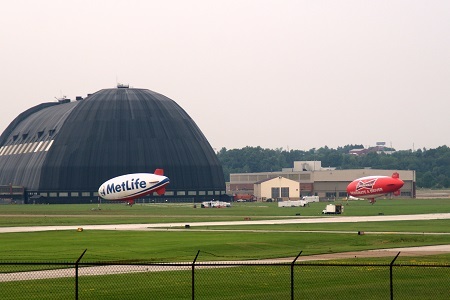 The Snoopy 2 and Designate a Driver blimps will both be moored near Akron’s historical Airdock at he Akron Fulton airport during their visit. The Spirit of Goodyear will be moored at Goodyear’s Wingfoot Lake hangar. 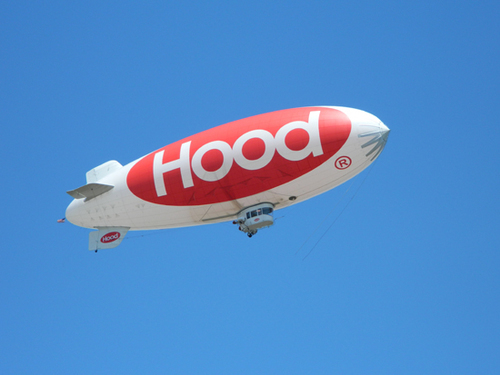 Also noteworthy, although outside of this region, the Hood blimp is back in the skies over Boston. It will primarily be flying over Red Sox games (both in Boston and Pawtucket RI). 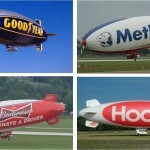 The Metlife, Budweiser and Hood Dairy blimps are all American Blimp Corporation A60+’s. 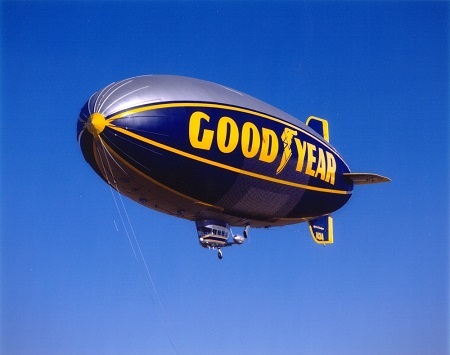 Goodyear’s blimp is a GZ20A. This entry was posted in Blimps and tagged Airdock, Akron, blimp, Bridgestone Invitational, Budweiser, Designate a Driver, goodyear, Hood, MetLife, NFL Hall of Fame, Snoopy 2. Bookmark the permalink.